I am finally in Japan for Hanami, yeah! 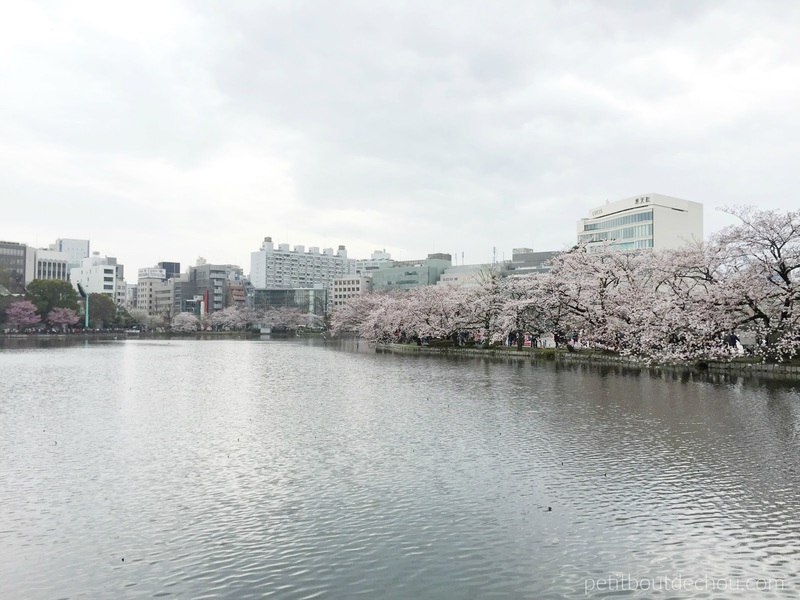 Hanami is the Japanese name for “cherry blossom viewing”. This wonderful event happens between the end of March and beginning of April. It only lasts for about two weeks so you’d better be there on time! My first stop in this Japanese trip was in Tokyo for 2 days at the very beginning of April. The weather was quite gloomy unfortunately but I really enjoyed the awesome scenery anyway. 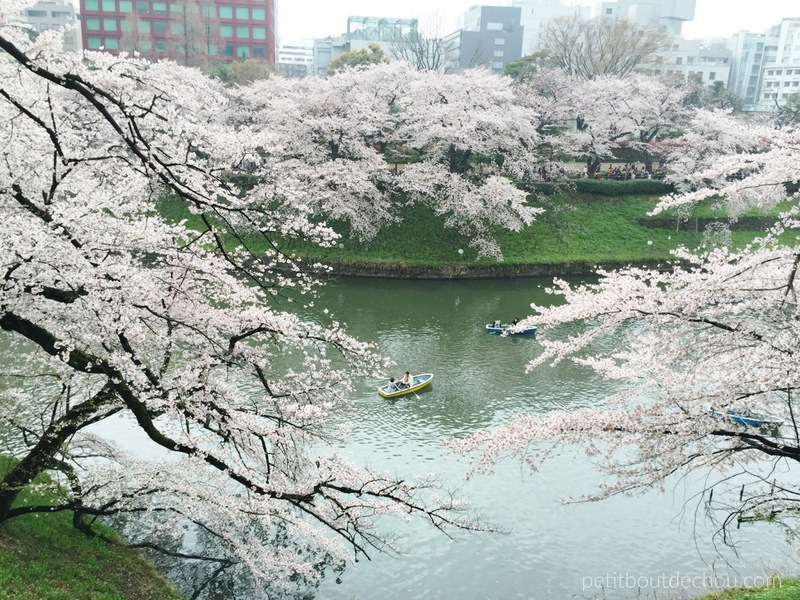 This outstanding viewing area, located around Kitanomaru park, is such a romantic spot. You can even rent a small boat to paddle along the river which has cherry blossom trees all along its banks. So poetic. Between the lakes of the Ueno park, you can walk along a wonderful path literally covered with cherry blossom trees forming a dreamy tunnel. You can also rent a small pedalo or eat some Japanese food from the many stalls (I opted for the second option…). This place is always packed with tourists but it cannot really be missed. I was lucky enough to see it during a beautiful autumn and this time for hanami. I must say this place looks great at both times of the year and I can’t really make-up my mind about which season was the best. 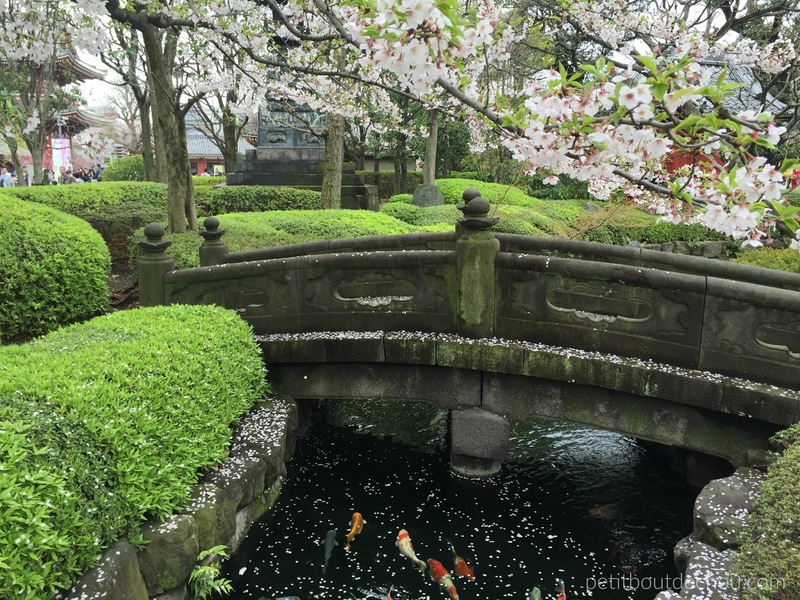 There is a little fish pond with a bridge at the back of the temple, such a pretty and romantic spot! 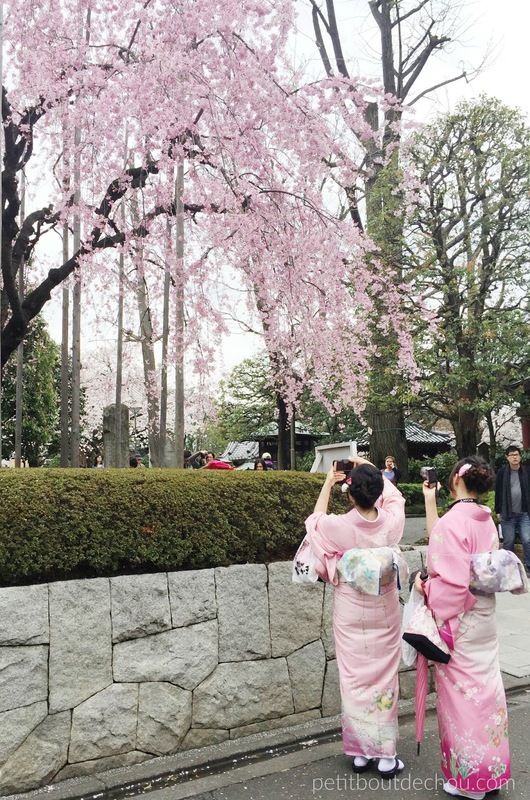 For the Japanese, viewing the cherry blossom seams as magical as it is for us, foreign tourists. Of course in Tokyo, food is omnipresent and that’s for the best! There is almost no chance that you will not like what you eat even if you go to the first encountered restaurant on your way. And if you like raw fish, then, Tokyo is definitely the right place to go. 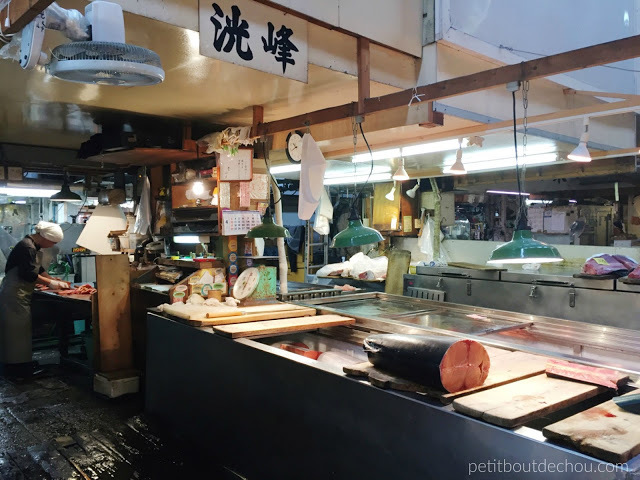 From 9am, you can visit the fish market of Tsukiji, try not to get killed by the small electrical vehicles they are using in there to move the goods. You can see some stalls were they cut the frozen huge tunas with an electrical saw, impressive! 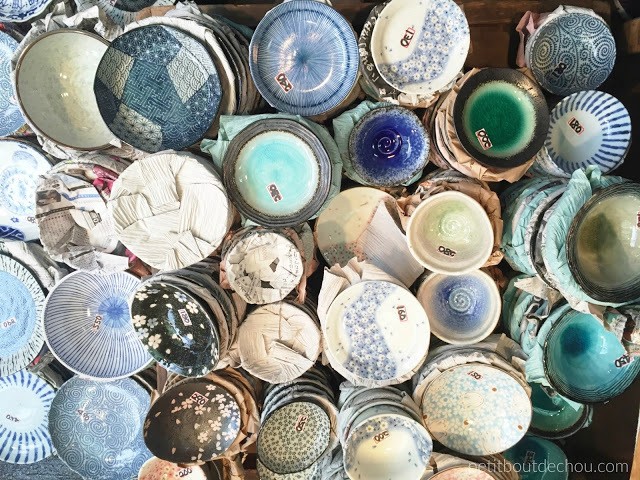 In the small alleys close to the market, I found a tiny shop selling wonderful ceramics at a very affordable price (between 150 and 300 yen). I could not resist, I had to buy a little sakura plate. 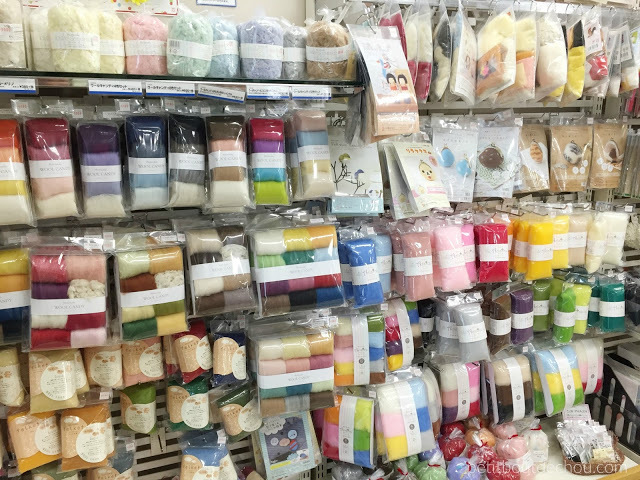 Following a blog post about craft supplies in Tokyo, I went to Shinjuku and headed to Okadaya store at the 5th floor where I found all this amazing wool felt for much cheaper price than you can get in Hong Kong. They also have many kinds of yarn, plus knitting and crochet supplies. 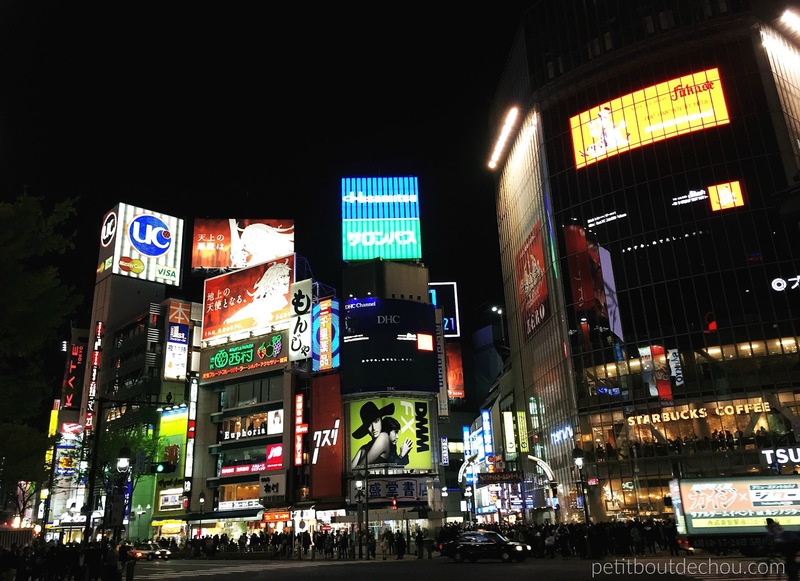 Shibuya is a reflect of the modernism of Japan. It makes quite a contrast with the more traditional image of Japan you will find in the other touristic areas. 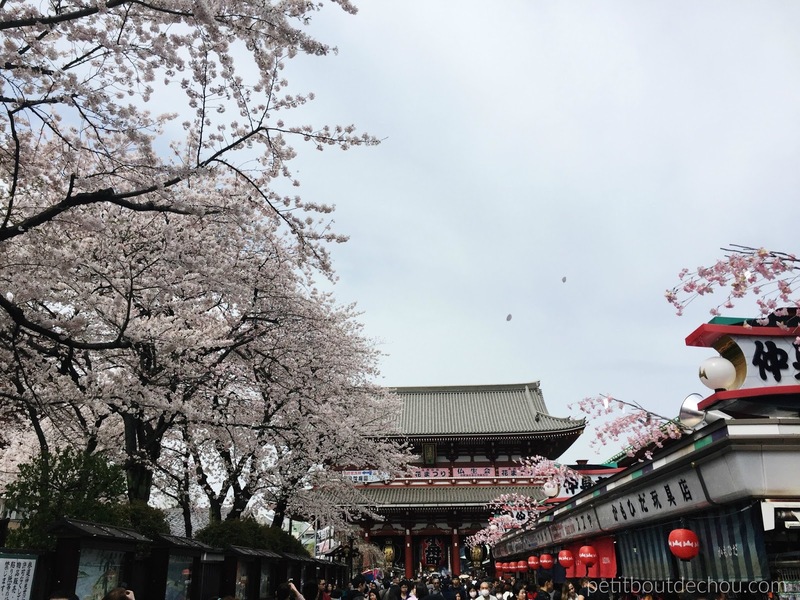 In two days, I was for sure not able to reach all the main places of Tokyo but the focus was on the hanami this time! And I think I did pretty well for that matter. I would recommend at least three days to enjoy the city and more of course if you can afford that! Accommodations can be quite expensive in Tokyo if not booked well ahead of your trip. For this flight I have used Hong Kong express and was lucky enough to find “cheap” tickets on a special promotion. 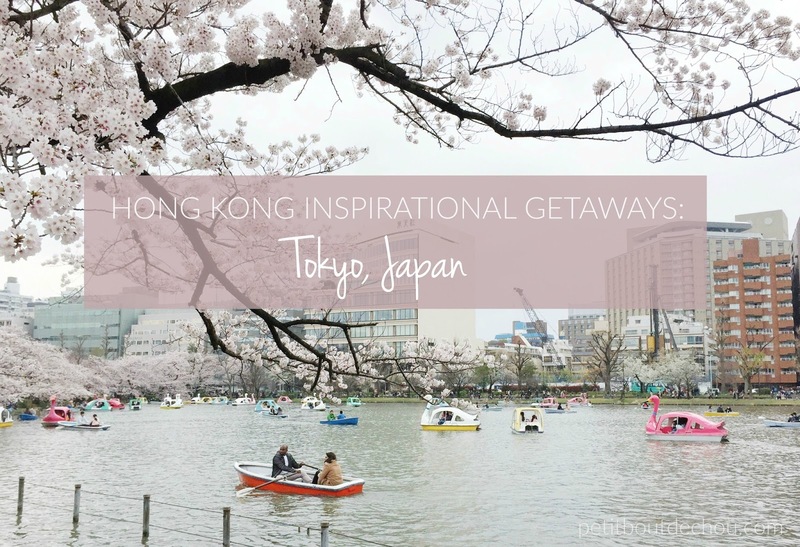 I hope this post inspired you for your next getaway to Japan.